Port Charlotte is located about halfway between Sarasota and Fort Myers, perfectly positioned to offer every manner of watersport activities. Port Charlotte’s more than 165 miles of waterways provide access to Charlotte Harbor and the Gulf of Mexico and many more miles of natural shoreline bordering Charlotte Harbor and the Peace and Myakka rivers. Seven of the 21 golf courses located in Charlotte County are found in Port Charlotte. If the above isn’t enough, here are some facts base on surveys from people who’ve visited Port Charlotte. Offers world-class fishing, birding, hiking, boating and top Florida luxury. CNN Money, One of the 25 best places to retire. US News & World Report, one of the best places to retire. Charlotte Sports Park: Spring home of the Tampa Bay Rays, Voted the best spring training facility in the country as per USA Today. 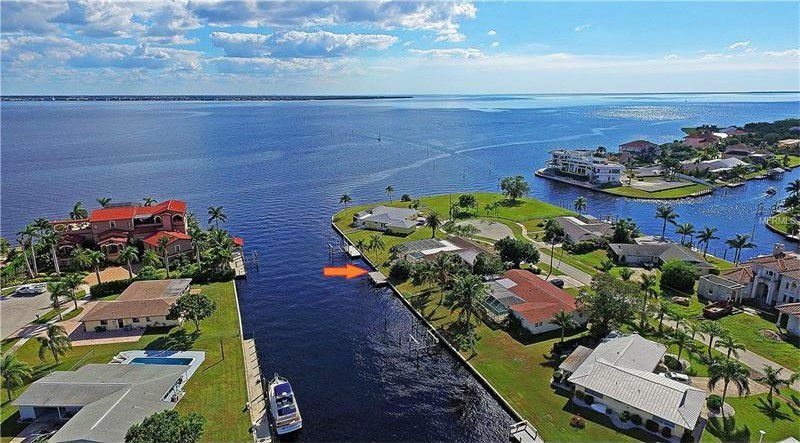 Grassy Point, A luxury Gated Community with immediate boat access to Charlotte Harbor. Approximately 40% of Port Charlotte homes sits on the body of water, and everyone has access to perfectly maintained beaches. According to Sail Magazine, Charlotte Harbor was hailed Top 10 Greatest Places to sail in the US. Sparking blue Gulf waters provide year round relaxation and recreation. The annual temperature is 74-76 °F and there are over 120 miles of rivers, lakes and streams to enjoy. Several local hospitals providing exceptional care in close proximity. There are numerous physicians, surgeons and above average treatment facilities. The selection of homes are collectively amazing including beachfront or waterfront homes, homes in comfortable communities, homes in gated communities, homes that are perfect for retirement. You’ll find Single Family Homes in friendly neighborhoods, gated or nearby beach community. Port Charlotte has it all! Your vacation and retirement will never be boring in Port Charlotte. This beautiful SW Florida gem continues to develop to provide the best and latest amenities, theme parks, maintained beaches, fishing lakes/rivers, boating site, shopping malls, wide-easy access roads and modern airports terminals. The best life you could ever imagine can be easy as calling Port Charlotte home. Ask a Medway Realty agent how to learn more about these and other Southwest Florida properties. You can also find us on the web at www.movetosarasotafl.com to search the MLS on your own.